Schoolteacher Preecha Kraikruan on Thursday (Feb 22) expressed regret and offered his apology to Kanchanaburi police commander Pol Maj-Gen Sutthi Puangpikul who has been transferred to an inactive post to pave way for the investigation into the 30-million-baht lottery tickets dispute. Pol Maj-Gen Sutthi was on Wednesday ordered transferred to an inactive post at the operations centre of the Royal Police Office allegedly for his involvement in the 30-million baht lottery controversy by Pol Gen Suchart Thiraswadi, the inspector-general. 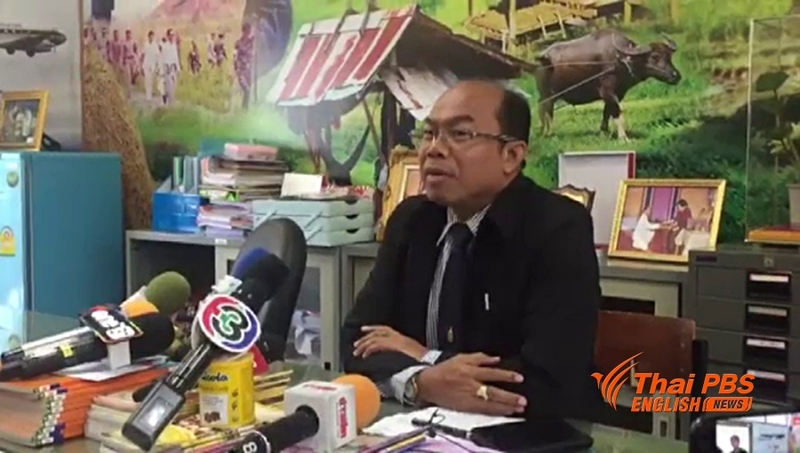 The order did not cite the reason for the transfer of the Kanchanaburi police chief, but it merely said it was necessary for police investigating the lottery controversy to be able to do their job smoothly to ensure justice to all involved. Pol Maj-Gen Sutthi will, from now on, report directly to Pol Lt-Gen Suraphol Phinitchop, commissioner attached to the Royal Thai Police. Mr Preecha who claimed to be the owner of the 30-million baht lottery tickets said he was partly to blame for Pol Maj-Gen Sutthi’s transfer, but he denied knowing the police officer in person, although both met twice in the course of police investigation into the lottery scandal. “Everything I said (about the lottery) is true. A school teacher must be a role model, so, there is no way that I told lies. I bought that set of lottery tickets which won the prizes,” said Mr Preecha. Earlier, it was reported that Pol Maj-Gen Sutthi summoned Pol Lt Charoon Wimoon, the retired police officer who cashed the 30 million baht First Prize lottery tickets, to his house reportedly to mediate the lottery dispute between the latter and Mr Preecha. An informed police source said that Pol Maj-Gen Sutthi allegedly interfered with the case by demanding the case file for examination and for separately inviting both Mr Preecha and Pol Lt Charoon to see him in private. He also did not send the fingerprints on the plastic wrap of the lottery tickets for examination, the source added. Pol Gen Suchart, meanwhile, said that four Kanchanaburi police officers were under probe for alleged interference in the lottery scandal. He added that they would face transfer if it was verified that they did interfere with the case.